The offshore oil and gas industry owes much to marine technology. And for us, no other event brings this home like Nor-Shipping. We’ve tried, in some ways, to make this issue a virtual visit to the event. So, from offshore financing to offshore power generation to piracy, as well as computer modelling and recommended practices, we’ve attempted to provide you with the maritime perspective. We’ve begun with an overview of some of the state offshore stimulus spending in three areas: Brazil, Canada and Norway. Our report shows how the deep-pocketed finance of nations is helping to keep large capital projects going, from shipbuilding to offshore fields. From Douglas Westwood, we hear about the longer-term outlook for the effect of the financial crisis on floating production. The spending patterns of major oil companies are contracting as they respond to a sharp decline in commodity prices, constrained cash flows and to challenges faced in the global credit market. This report looks into the resulting situation and effects of a scarcity of investment capital. Pirates are thriving despite counter-piracy operations, and we have an article from Bergen Risk that examines the trends in these troubling developments for global shipping. In 2009, we’ve seen an increase of over 650 percent in these activities from the same period last year, and this report provides insight into why this has happened as well as how well counter-piracy tactics have fared. We also look to the north (and east) with an update of Russian oil and gas activities. Looking once again at the Barents Sea gas field Shtokman, we see that potential suppliers are queuing up to become part of the supply chain to develop this northern giant. This update includes a look at Sakhalin and the recent contract award to Aker Solutions to build the Sakhalin I concrete platform for the consortium headed by Exxon Neftegas. The semi-submersible and drill-ship sectors have been getting a lot of press of late, and we include an article that describes ABB’s main electrical solutions for Seadrill’s semi-submersible drill rig and drill ship newbuilding programme. Then we have a fascinating report from Technip concerning their Engineering, Procurement, Construction and Installation (EPCI) contribution to StatoilHydro’s Hywind Pilot project. As we go to press, the various key elements of the windmill – the substructure from Technip plus the standard 2,3 MW windmill from Siemens Wind Power – have been assembled in the fjord outside Stavanger ready for tow-out and installation offshore Karmøy, Norway, in June. Interested in computer modelling? If so, we have a report from CD-adapco about how computational fluid dynamics (CFD) can play a role in the design of lifeboat launching. We also talk with Prospect’s Paul Ellerton who describes the use of computational mechanics in designing for arctic conditions. And that’s not all – we’ve got visualisation, satellite communications, drilling solutions and more. 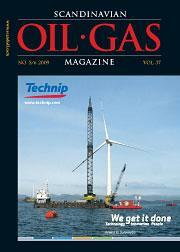 Our next stop is Aberdeen for the 2009 edition of the Offshore Europe event. We’ll be working over the summer to make sure you have an optimal experience of this year’s OE conference and exhibition. So, if you have any suggestions about how we can make that happen, give us a call.